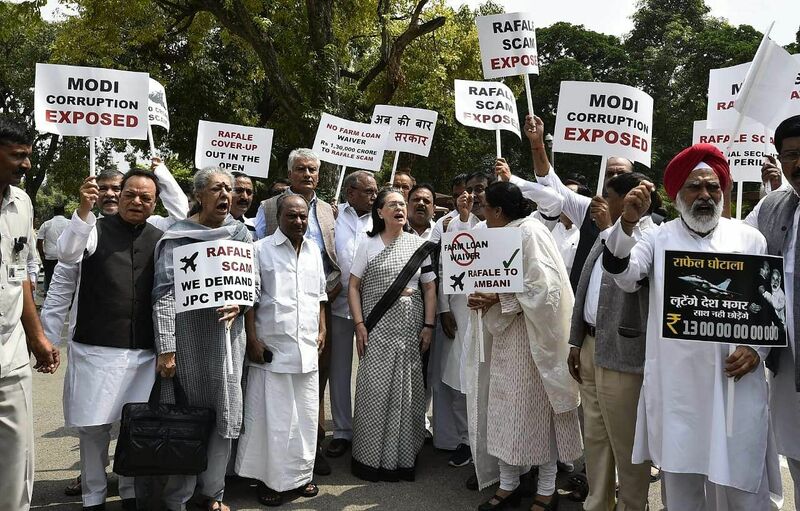 NEW DELHI: The Rajya Sabha was adjourned twice within minutes during the pre-lunch session today amid protest by Congress members over their demand for a JPC probe into the alleged scam in the Rafale jet deal. Earlier, Leader of Opposition Ghulam Nabi Azad alleged that the Rafale deal was a "big scam" and there should be a JPC probe into it. Congress Deputy leader Anand Sharma said whenever such issues have been released earlier during previous Congress rules, a JPC probe was ordered and reiterated his party's demand. Meanwhile, Derek O'Brien (TMC) raised a point of order saying legislative business should not be taken on a day when private members' bill are listed.